E8000 unique feature is the cassette structure built on a traditional stick system. Thus, it allows top hung or parallel opening vents with the same outer appearance as the fixed cassettes. Internally in the cassettes, the system allows the usage of different types of materials while externally pphotovoltaic panels and sun protection systems can be harmonically incorporated with E8000. SKU: 061. 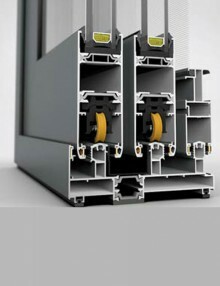 Categories: Curtain wall systems, Etem, Other. 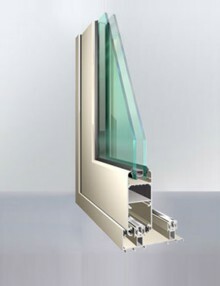 Tags: Aluminum, Curtain wall systems, Etem. E8000 is designed to successfully meet any architectural or structural demand. Being designed on modern views on functionality, it ensures thermal and noise insulation. It is a reliable and popular especially for the construction of big projects – shopping malls, airports, stations, etc. The system has a superior earthquake protection design and meets all modern structural and technological requirements. E22 is a system that meets all modern specifications, certified by accredited laboratories, specially designed for medium and large openings. 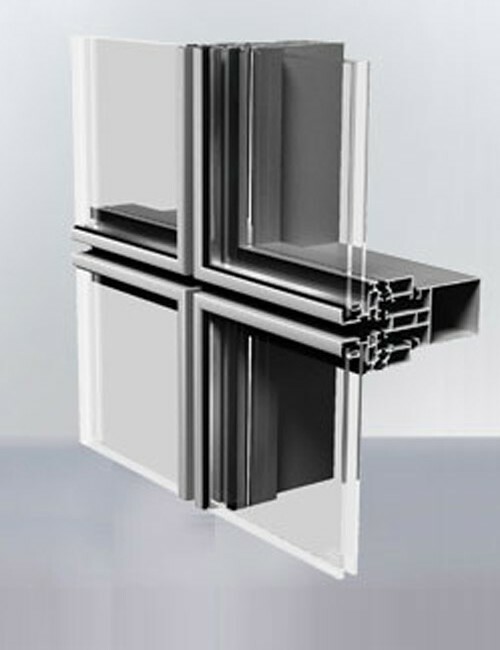 With a large number of sash profiles, E22 offers both straight line and round contour profiles giving aesthetic flexibility to the designer or architect. 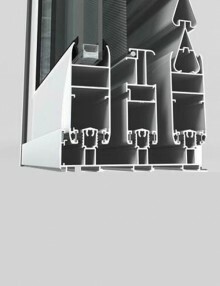 The system design is a 32mm width sash with a wide range of decorative solutions and proposals for all types of constructions. 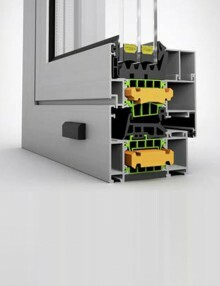 E19 is a system with excellent certifications in its category, such as Water and Air Tightness, ergonomic design, contemporary appearance, straight forward assembly and effortless functionality all of which are combined in the most economical use of materials which at the end render an affordable frame with the best quality to price ratio. • Ability to use 3-point licking system. 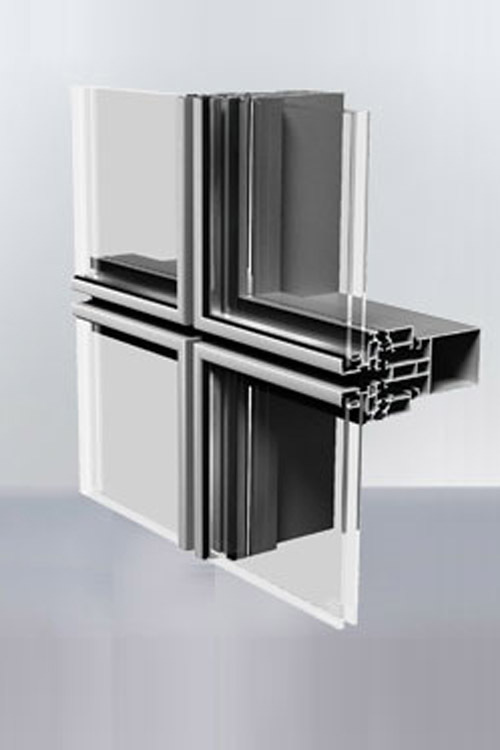 E52 is a 38mm width sash system ideal for medium to large openings. Its innovative design with features such as the use of polyamides up to 34mm wide, the ability of the system to carry heavy glass weights using Stainless Steel rails that ensure durability and functionality over time and the ability to construct frames with Anti Burglar certifications, are all features that, in combination with the very good technical characteristics, render E52 an excellent choice for a sliding Thermal Insulating system.